What does the BOSS study mean for doctors? The BOSS Study aims to collect ALL children with Perthes’ Disease and Slipped Epiphysis during the study period. We wish to observe routine care by finding out about the case, observing the changes on radiographs, and collecting information from the child, and their family. The study has Nationwide England R&D approval (HRA Cohort 3), Nationwide Scottish R&D Approval, Nationwide Welsh R&D Approval and Nationwide Ethics Approval. The study is on the UK Clinical Trials Gateway. Patient consent and PROMS may not begin to be collected until the hospital has a study activation letter from the Liverpool Clinical Trials Unit. The study documents are available here (you will need a password from the BOSS Study team – boss@liv.ac.uk). This was originally published 14th July 2017. Questions and answers from this session can be viewed here. 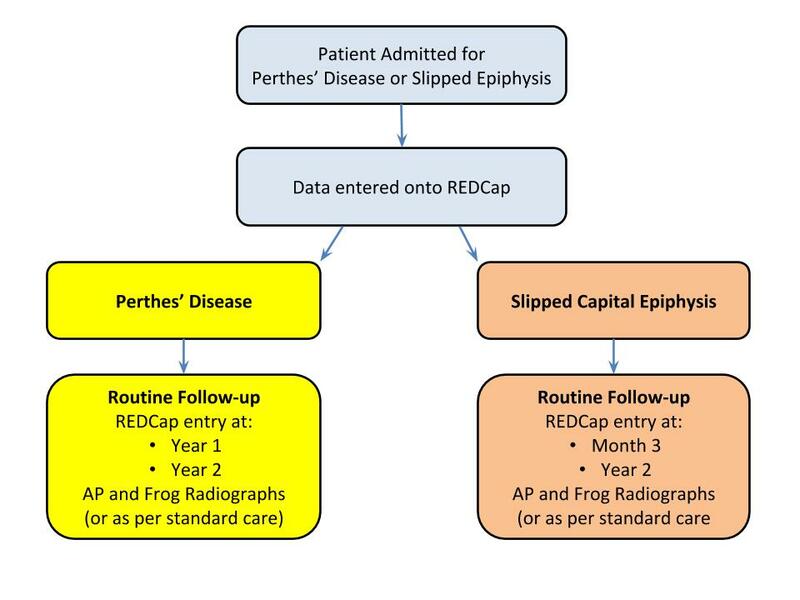 Anonymised radiographic images must be transferred using the unique study ID, which is generated by REDCap. All patient identifiers must therefore be removed except the study identifier. Instructions on transferring images is available at this link. British Orthopaedic Surveillance Study (BOSS) Study is a nationwide £1m NIHR study for which we are seeking the input from orthopaedic trainees. BOSS will collect all cases of orthopaedic rare diseases (initially Perthes' disease and Slipped Epiphysis) over a 1 year period in a nationwide cohort. Case details will be entered anonymously with no need for patient consent. It has nationwide NHS R&D approval from the Health Research Authority, and nationwide ethics approval. Now we need the involvement of the trainees.....and it really is simple! Trainees will notify cases that they see via a mobile app - it takes less than 1 minute to notify a case. Each month (for the duration of the study) all of the trainees volunteering data will have to enter something - even if it is 'no cases to report'. An e-mail will be sent to check the completeness of the reporting (i.e. the e-mail may ask you to confirm that you have seen 1 new case of Perthes', and no new cases of SCFE etc). Without the active participation of clinical staff, BOSS will not be able to provide useful information. The system depends on reliable and complete case identification and data collection by clinicians to provide accurate information. In return we undertake to report promptly the results of studies to provide information to assist in patient management and service planning. The collaboration of clinicians is also vitally important to identify studies which will answer questions of clinical importance. In this we would encourage all researchers, no matter how inexperienced, to contact the BOSS team if they have identified a question which could usefully be answered through a BOSS study. We will undertake to provide support in generating an appropriate research proposal.